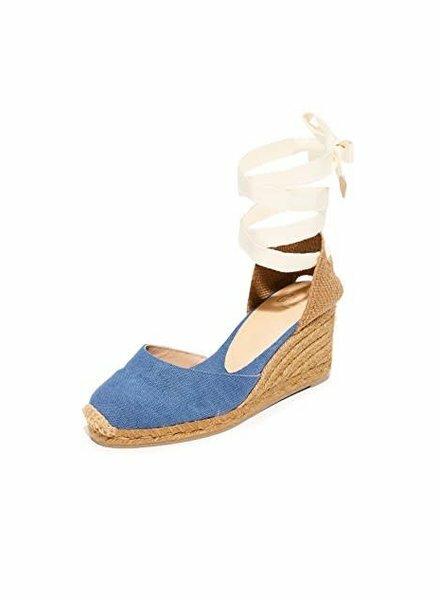 Wedge espadrille in degradé jute made with natural canvas. 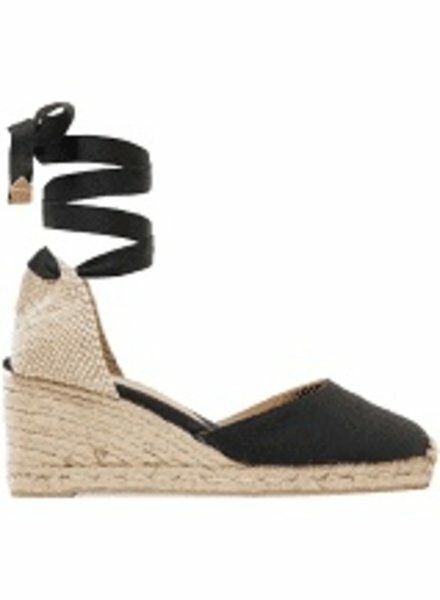 Jute toe and jute-string and cotton heel. Tied at the ankle with laces. 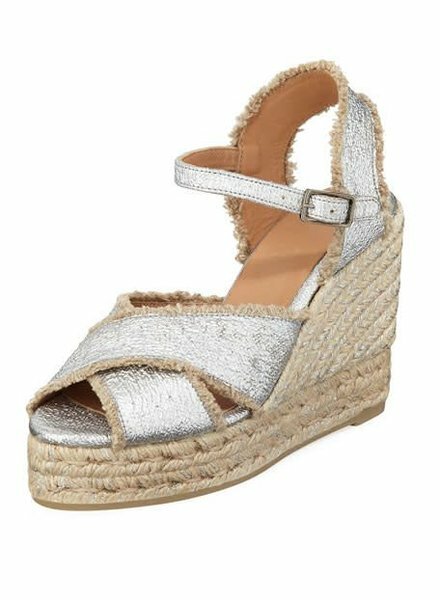 Castaner "Bromelia" sandal in metallic linen. 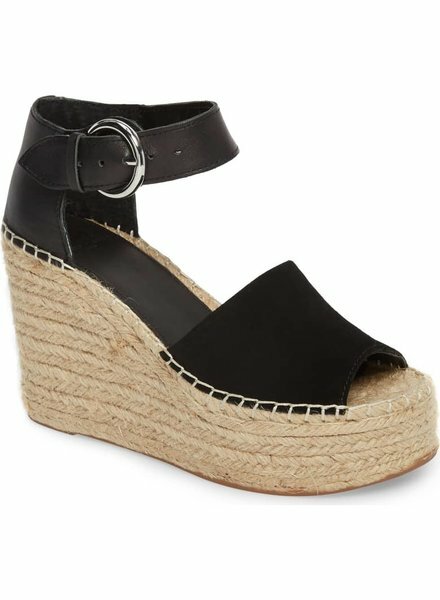 4" braided jute wedge heel with platform. Crisscross toe straps. Adjustable ankle strap. Leather lining. Made in Spain.